Side rails are 12’ (366cm) long and 1-1/2" (38mm) x 4" (101cm) x .083" (21mm) wall rectangle tubing with capped ends. Side rails are electrostatically painted. Twelve rungs are secured to the side rails to prevent turning. Support frame is welded tubular frame with diagonal braces and chains for maximum rigidity. 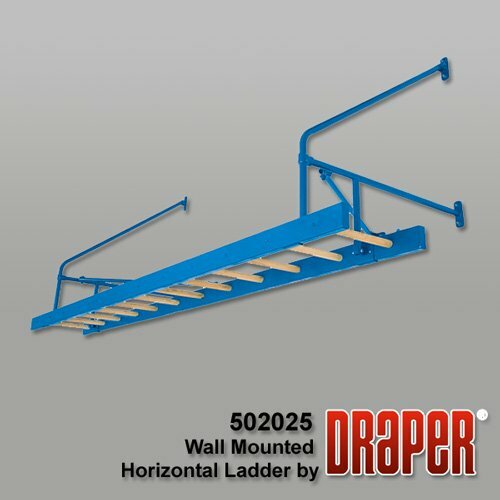 Ladder is about 2’ (61cm) wide and extends about 46" (117cm) from the wall. Assembly and hardware instructions included.